Making a corn mash is an intimidating thought to most Home brew enthusiast’s but it’s actually quite simple. Not to mention the end product will make one of the best tasting corn whiskey you’ve ever had. The following article will teach you how to make a corn Mash in a simple step by step format that anyone can follow. First up were going to need some basic equipment. You’ll need a large pot, a funnel, plastic bucket for aeration I like to use a 5 gal pail, cheesecloth, and a brewers thermometer. 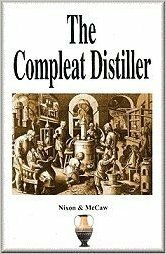 You can also head over and check out this recommended distillation equipment guide. 1 package of bread yeast from your local grocery store. You can also use Generic Distillers Yeast if you have access to it. You will notice the corn start to gel this is caused by the starches that are being released from the corn. While you let the corn mash rest the enzymes in the malted barley are converting the starches in the corn into simple sugars. These sugars will later be converted to alcohol during fermentation. The reason we need to do this is because yeast can’t convert starch into alcohol. It need’s to be in sugar form to do this. If your interested in learning how starch is turned to sugar head on over to my post How Enzymes Turn Starch To Sugar. Step 7 – Don’t grab that beer yet because your not quite done. While your waiting you should take this time to get a “Yeast Starter” going . The Starter will speed along the fermentation process and help give you quality corn whiskey that will taste great. I’ve already discussed how to make a Yeast starter in my earlier post “4 Steps to making an Easy Yeast Starter” so I won’t go over that again. Step 10 – Check the temperature to make sure it is between 75 – 85 F. Once it is between this range add your Yeast Starter and Corn Mash to your primary fermenter pail or carboy. Step 11 – Install Airlock and let the yeast do it’s work! After several hours you should begin to see bubbles coming through the air lock. Fermentation will take 1- 2 weeks! When it stops bubbling its ready to distill. If you’d interested in learning how to turn your Corn Wash into Corn Whiskey Moonshine check out this How to Distill – 101 article and video. 21 Responses to "How to Make A Corn Mash – 11 Easy Steps That Will Make A Great Corn Whiskey"
I like your sugstions and wondering if you have a recipe you would share with me. Why strain the corn mash through cheeze cloth? Why not let it ferment with it still in and strain when done? Great question you can actually do this either way. The traditional ways is to “ferment on the grains” i.e don’t separate the grains from the fermentable wort the second method is called “lautering” where you filter out the grain husks from the wort. The disadvantage to fermenting on the grains is that the grain husks may give a bitterness to the mash during fermentation and when the grains settle out during fermentation they can cause incomplete fermentation due to poor circulation in the mash. Thanks for the info. Can I use malted sorghum instead of malted barley? I have easy access to the latter, that’s why I ask. Thanks. Followed the recipe step by step, placed strained mash into fermenter, pitched yeast, put in temperature stable closet. After a week there was no fermentation action at all. Can I resurrect my batch? 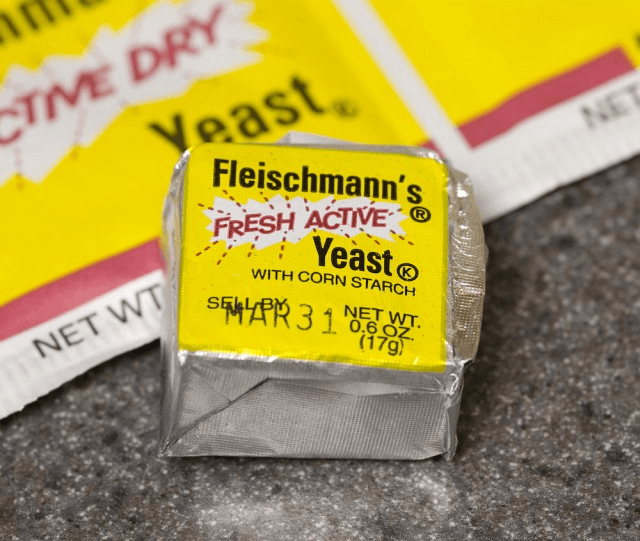 Should I pitch more yeast? Any suggestions would be appreciated. Cheers! Ya I’d make another yeast starter make sure your temps are good and re-check your Specific Gravity reading. Has it changed at all from the original measurement? Might have a stuck fermentation. Keep me posted how you make out ! Thanks Earl, I’ll give it a shot tomorrow. Can this be made with cornmeal? I’ Making 25 gal of this recipe, Does it hurt to stir the mash every once in a while just to keep oxygen content higher in the mash ? Won’t hurt but I doubt if it does any good either. Can you use fresh corn -off the cob? Yes for sure you can use fresh corn.. I’m assuming you’re going to use sweet corn to make your mash? One thing to keep in mind when using fresh sweet corn is the large volume of water present in the fresh corn kernels as oppose to dry corn. What is the most simple corn mash recipe out there ? Finish desired amounts with a good turbo yeast and wait 5 day. Can I use malted barley extract (liquid) instead of dry. You can, but not necessary add 25% of spent wort after run make sure it’s not hot, cool it down, and water to top it off plus sugar and that’s about it.